Città della Scienza is a nonprofit institution in Naples, Italy, with a mission to promote scientific culture and to foster the harmonious and innovative economic and social development of Southern Italy and of Italy as a whole. At the national level Città della Scienza has placed a particular emphasis on the need to observe the real economy and the transformation processes in the global market, working–in Italy and Europe–to ensure that the attention of political decision-makers, the general public, and the media is focused on the theme of scientific research, the quality of public education, and innovation. Central to its strategy is the theme of the “Society of Knowledge” and the intelligent and widespread use of new technologies, being aware that to improve the quality of life in our cities it is necessary both to use new technologies as part of a smart cities strategy and to adopt a more austere way of life that is less associated with throw-away consumerism. In addition, one of the aims of Città della Scienza has always been the active involvement and social participation of the public in the major decisions of our civilization. A pre-condition of this is the spread of scientific knowledge to everyone. Città della Scienza is a science and technology hub in Naples, covering an area of around 70,000 square meters (750,000 square feet), including the science center, the first interactive science museum in Italy; the Advanced Training Center; the Business Innovation Center; and the D.RE.A.M. FabLab (Design Research in Advanced Manufacturing). 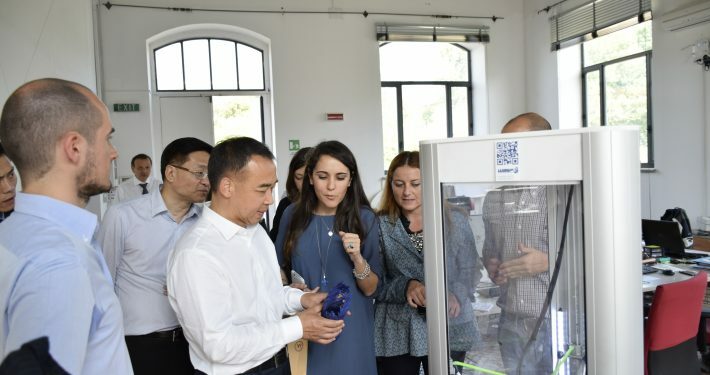 Since its beginning, Città della Scienza has worked in an international context, taking concrete steps to develop exchange programs and cross-border projects in the science and innovation sector. In particular, Città della Scienza is very active in the Mediterranean and Middle East panorama because it is increasingly essential today to foster cooperation between the two sides of the Mediterranean; only by investing in science and technology can these countries promote democratic, sustainable, and lasting development. Thus, innovation and research are key sectors for Euro-Mediterranean cooperation. In this area Città della Scienza has launched some collaboration projects in Palestine to develop the first science center in the area, at the Al Quds University in East Jerusalem. The science center was established thanks to the trilateral cooperation among the Israeli (Hebrew University and Bloomfield Science Museum), Palestinian, and Italian scientific communities, highlighting the role of science as a common language for peace and mutual understanding. 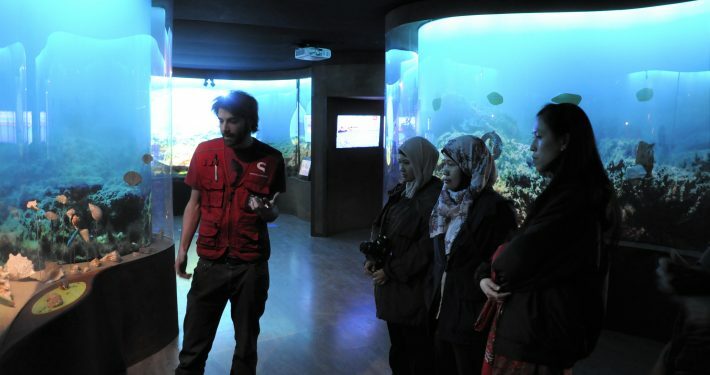 Together with the network of science museums of North Africa and Middle East (NAMES) and with the European network of science museums (ECSITE), Città della Scienza has promoted since 2013 the Euro-Mediterranean Scientific Communication Summer School (EMME) to train leaders of scientific and cultural institutions and to support the growth of new science centers in the region. After a first edition in Granada, Spain, in2013, and a second one in Alexandria, Egypt, in 2015, the third course will be held in Naples in September 2017. As regards African countries, Città della Scienza is supporting organizations with the development of new science centers and science events with the scope to implement new strategies for capacity building and empowerment. In this field Città della Scienza has carried out the first science festival in Owerri, Nigeria, and is working on new projects in South Africa, Senegal, and Burkina Faso. Finally, Città della Scienza is launching the D.RE.A.M. 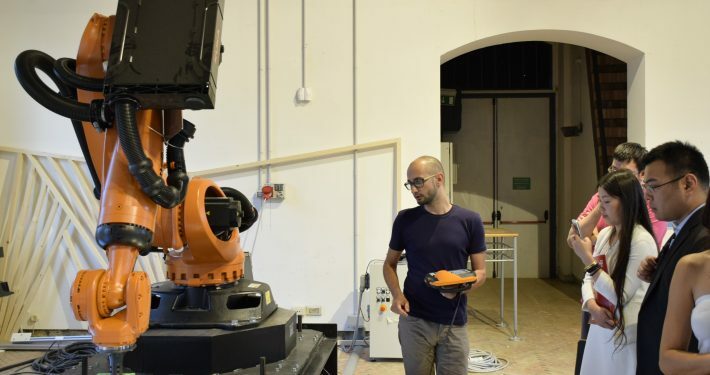 Academy, based in its FabLab facility for enhancing research with digital fabrication–with the scope to support new, creative projects as an opportunity for business, industrial, and social development driven by digital technologies and advanced manufacturing. The academy will be open to participants from all over the world, with particular reference to the Euro- Mediterranean region.